There's nothing quite like homemade pork rinds. When I’m making a ham based soup or stock, one of my favorite ingredients are a few good smoked ham hocks. They add all the flavor and depth I look for, and I love to eat the small bits of ham off the bone when I’m done with them–some do make it in the soup. I would even eat some of the smoky caramely skin. But I always feel like more could be done with this skin. So, I thought–how about some smoky pork rinds as a garnish for the split pea soup I was working on? 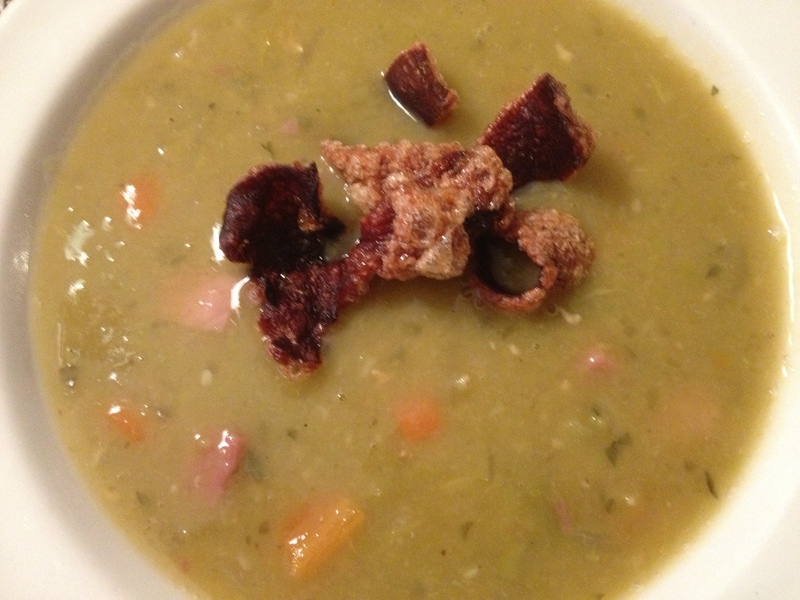 Pork rinds as a garnish for split pea soup--smoky flavor; crisp, crackly texture--yum. Even though I don’t eat them very often, pork rinds are a favorite of mine. No flavorings, just plain, salty pork rinds. I remember my grandmother making them when she got pork skin from the local butcher. Doesn’t get any better than that. Pork rinds are easy to make. They get more puffy when using fresh pork skin, but, I’m using the cooked “hydrated” skin from the ham hocks this time. It’s important to clean the back (inside) of the skin. Gently scrape it with a knife. Drying the skin helps them get puffier. I put them in the oven at 200 degrees F for and hour and then I turned the oven off and left them there for another hour. You can do this ahead of time, even the day before. Then I fried them. Oil should be at 350 F and this part happens very quickly. As they hit the oil they start to puff up, like popcorn, and as soon as they stop puffing up you should remove them from the oil. Sprinkle with salt and let them rest for a few minutes and the pork rinds are ready! 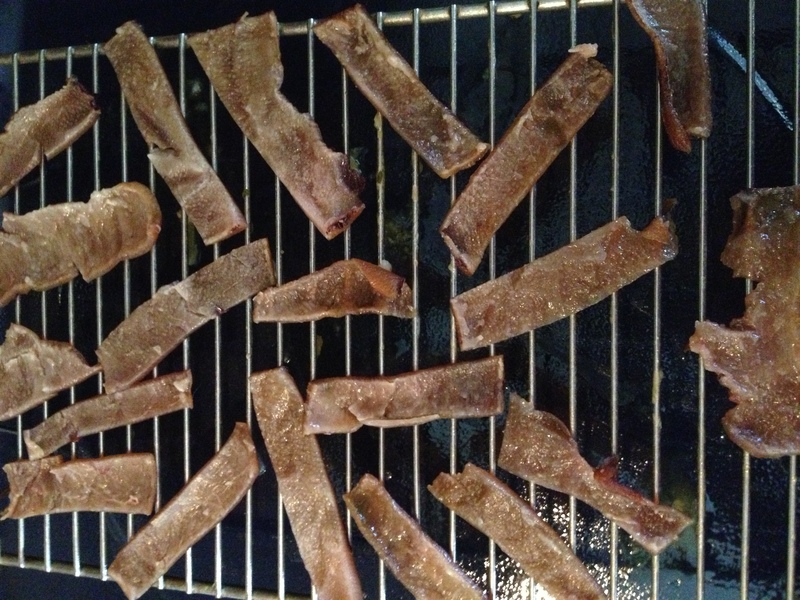 Here I have the pork rind cut into strips, and I'm drying it a bit before frying. 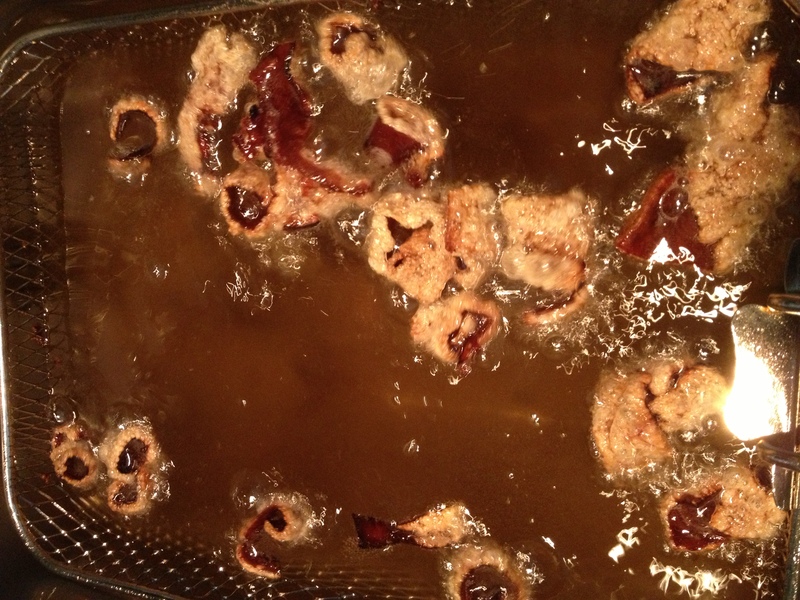 Here are the pork rinds in the fryer. 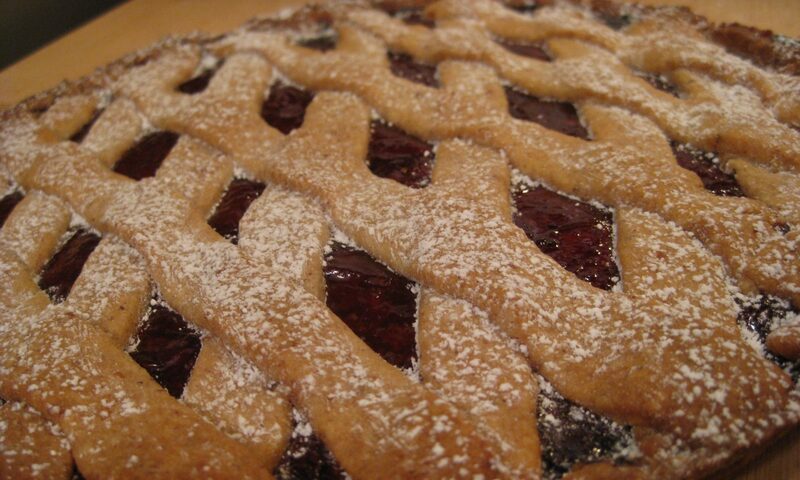 Don't cook them any more than necessary: when they've stopped puffing up then they're done.